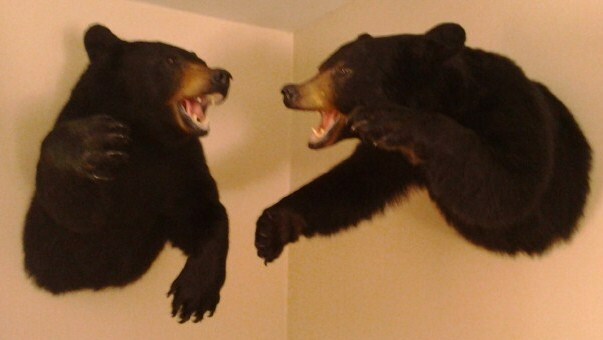 I'm looking for a bullet that would serve on both of these species. Probably more pigs than coyotes. I have some 85 gr. Game Kings loaded up to take to the range for this rifle. What's your preference? Both of those bullets would do a good job for you on piggies. My coyote .243 load is a 87gr Vmax at about 2650fps. I like 100gr Sierras for hogs. Can't say about pigs, as I don't have any here to hunt, but I've shot a lot of 85 grain Sierra HPBT's at coyotes and they work great. I'm loading them at 3250-3300 fps. My other two favorite coyote bullets are the 58 grain VMax and the 65 grain Berger. These will flat give a coyote a dirt nap in a second. He spoke in tears of 15 years his dog and him traveled about. The dog up and died. She up and died....After 20 years he still grieves. This is my favorite all around choice. All mentioned will work great if they shoot accurately in your firearm & you are able to put the bullet where it counts. This time of year I wish I lived in hog country. 85 Sierra GK HPBT works just fine on pigs, so does any other .243 bullet that works on deer; 95 Nos BT or Part, 100 Hdy BTSP, 100 Sie GK or PH, 100 Nos Part, 80 TTSX, etc, etc, etc, etc, etc, et al . . . Pick the one your rifle shoots best with a powder you have plenty of and don't worry about the rest of the many options. +4 on the Hornady 100gr. BTSP . My .243 really likes the 58gr Superformance Varmint load from Hornady. I was coyote hunting in Oklahoma years ago when walking back to the trip I kicked up a hog along the creek bank. One shot in the neck and he fell into the water. A day later he surfaced and I fished him out. There's a very successful hog hunter in Texas who loves the 90gr TNT 6.5 Grendel load for American Eagle. Search for Double Naught Spy's videos on Youtube. PMs get the quickest reply. I don't get notices to posts in my threads. I'll second the choice of an 85gn Game king HBT. They kill deer and goats and a well placed shot on a pig should be no problem. I never used Speer bullets until I started testing some Speer 100 gr BTSP. They shoot really well for the money. They can be had from Wideners for $15/box of 100. They also have a nice BC (.430). 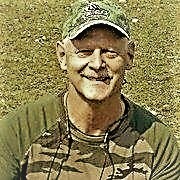 My hunting partner in pig country used his 243 many times, even on large hogs (over 200 lbs.) with the 95 BT. 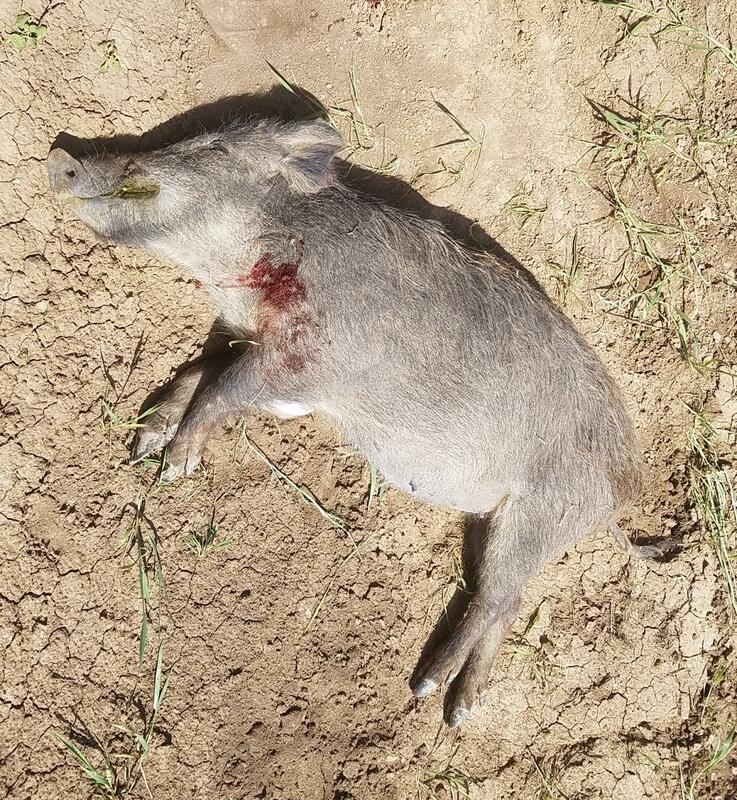 Pigs aren't hard to kill, but they can be hard to trail with bullets that leave only entry holes, especially in the brush they like to come out from. My vote would be a Barnes 80-85, but only for the leakage insurance. Ran across a deal a While back on Speer 90 gr Deep Shocks. They work great on yotes and pigs. Accurate too. The 95-grain Partition has worked for me. This was out of my 6mm-284, range about 225 yards. MV on the load was about 3250, IIRC. I plan on using the 95-grain Partition in my 6mm ARs, which will be hog rifles primarily. We'll see how they do. If necessary I can go down to the 85-grain Partition, or maybe up to the 100-grain Partition. I doubt it will be necessary---provided I can get the 95s to shoot in my new rifles. My 10 twist .240 Wby really like the NPT 100 gr., half MOA at 400 yds. Anything would work, pigs aren’t tough at all. 95 grain Nosler Ballistic tip. Works great on both!